Thanks to Carolina Parent and the NC Museum of Art, my hubby and I enjoyed the Porche By Design: Seducing Speed exhibit at the NC Museum of Art. I took these pictures using my favorite iphone app - Hipstamatic. The app itself is free but you can buy different films and flashes to expand the capabilities of the camera. You can select the film and/or flash you want to use from those that you own or simply shake your iphone for a randomly selected pairing of film and flash from your collection. I could not figure out what the graffiti was in a couple of the shots below. At first I thought my kids added creative text to the photos and then I realized it was probably one of the film set features LOL My favorite Porche was the Janis Joplin car, shown in the last three photos. I received a beautiful Hat and Scarf Set for review purposes. I have received products from CoverYourHair.com before and I have to say that this is one of my favorites. The quality is exceptional. The hat and scarf are made with thick yarn and a heavier gauge needle but it is also soft and lightweight. I really am adoring it and glad that the weather is finally cooling down enough here in the southeast US to be able to wear it. Also, while you are here, make sure to enter the giveaway! 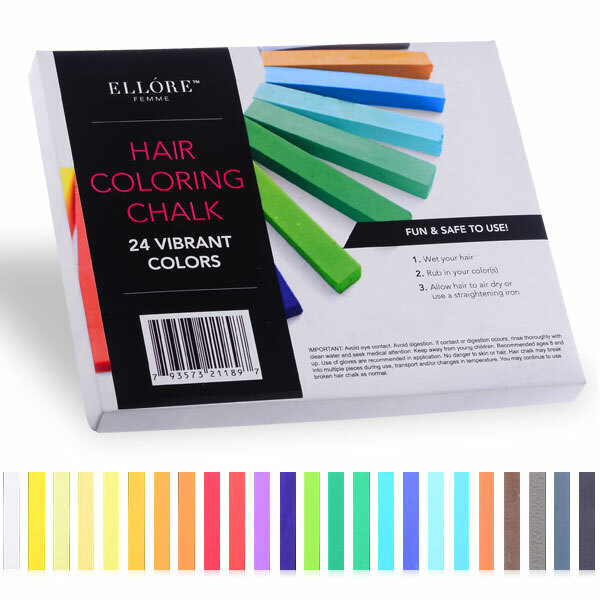 Coveryourhair.com will offer one randomly selected US winner a free $25 box of surprise Hair Accessories. Here are some fun links to get you started. When you enter the giveaway, make sure to comment on your favorite product (required) and then fill out the rafflecopter form. Must be a Momanthology.com follower to be qualified to enter. Good Luck to All! You received a nifty electronic gadget for the holidays and love it but do not love how fast it uses up battery power. This is especially critical when it is your cell phone. Smartphones tend to quickly drain the battery when used for surfing the net, checking email, etc. When at home this is typically not a problem because you can simply plug in and charge up while at home. This can be a problem when traveling or during outings however. It is not always convenient to get a wall or car charge. How can you make sure that you are able to charge your cell phone up when on the go? You’ll never feel powerless when you have the Magicstick 2800mAh rechargeable battery handy. This compact and lightweight mobile charger will quickly become must have for any person on-the-go. 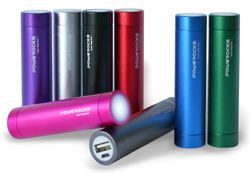 The Magicstick 2800mAH is the perfect size for any pocket, purse, or backpack. Never get stuck with a dead phone or other mobile device again. The Magicstick is easy to use and carry. A single USB port and corresponding cable with micro to USB connectionslet you charge a variety of devices seamlessly. This cable can also be used to charge the Magicstick from any high current USB port. A single button illuminates when pressed and shows the power capacity via a colored LED light, so you know at a glance how much charge is left. The Magicstick also features a smooth, brushed aluminum finish available in a variety of colors. An included drawstring carry case keeps it protected and always handy for use. Just grab, go, and get charged up with the Magicstick. The device I had before was almost identical but this one is even better.... it has one very special feature. The Magicstick has a very visible blue, green or red neon light that indicates the level of juice that the unit has left. This is very useful. Red for example indiates a low or non-existant charge which means time to rejuice! I have used this when traveling, during work or at scrapbook crops when an outlet was not readily available. I HIGHLY recommend this product. It is simple to use, practical, reliable and versatile. The Magicstick is a little on the heavy side but is otherwise small and portable., It can easily be slipped into a pant pocket or small clutch. Thanks to Powerocks, I have a discount code to share with my readers (while available). Use code Powerblog20 for a 20% discount at Powerocksmedia.com. That is a $10 USD savings! Disclosure: I received a product for review purposes I was not required to write a positive review and did not receive any other form of compensation for this blog post. New Year - New You! Maybe one of your goals is taking better care of yourself or using products that are better for your hair and for the environment. Herbal Essences has come out with a new NAKED product line that products that are designed with the "less is more" mantra in mind. What will your kit contain? Naked Collection Volume Kit - Kit includes Naked Volume Shampoo, Conditioner, Volumizing Soufflé, Flexible Hold Spritzer and Dry Shampoo. 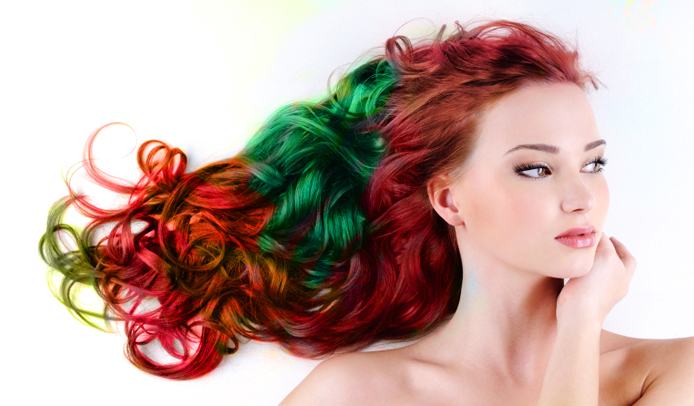 - Everything you need for irresistible volume! - Online-only offer. Thanks to Herbal Essences and Walmart, I have one $50 gift card to give away to one reader. This can be used towards the purchase of the Herbal Essences Naked Collection Volume Kit . To enter simply follow the prompts below. Winner to be selected at random. Must be a blog follower to enter. Good Luck to All! Disclosure: I received a Walmart gift card to purchase the product for review purposes. I am not required to write a positive review and all opinions expressed are my own! I have had a long standing relationship with Betty Crocker®. The majority of my baking posts have been sponsored by General Mills, Pillsbury or Betty Crocker®. I was also fortunate enough to be invited as part of a select group of bloggers to "Baking with Betty". The program included a visit to their facilities for a day of touring the campus and baking in the test kitchens. I learned quite a bit that I shared with my readers but one thing that I probably did not share enough about was the vast amount of charitable activities and philanthropic efforts that the General Mills corporation participates in and/or leads. Most recently Betty Crocker has partnered with Toys for Tots. I have donated to Toys for Tots in the past. the Marine Toys for Tots Foundation accepts donations at select locations for NEW, unwrapped toys. The Marines then deliver these toys to more than 3,500 families in need. This year Toys for Tots has teamed up with Betty Crocker® to encourage Americans to Host Parties to Make a Merry Difference. Toys for Tots and Betty Crocker®are promoting the idea that holiday party hosts and goers to give back, bake and make a merry difference. To kick off the celebration, Betty Crocker has donated $50,000 to Toys for Tots to help deliver more than 3,500 toys to families in need! - The not-so-jolly reality is that more than 16 million American children currently live in poverty and may not receive any toys this holiday season. - With a goal of 1,000 or more cookie exchange parties hosted, Toys for Tots, Betty Crocker and Evite are encouraging Americans to help other families make merry memories this holiday season. “We're honored to partner with Toys for Tots this holiday season to help fulfill their important mission," said Laura Forero, marketing manager with Betty Crocker. "It's our hope that through hosting cookie exchanges to gather donations some added cheer will be brought to thousands of deserving children this holiday season." 2. Invite Your Guests. After you sign up, hosts will have access to free custom Evite invitations that they can personalize and send to their guests. 3. Make a Merry Difference. Each friend and family member are encouraged to bring cookies to share as well as a toy or cash donation to Toys for Tots. Choose to donate online or collect cash and checks at the party. Find a Toys for Tots drop-off location here for the toys you collect. 5. Share your holiday cookie creations and donation success on social media using #MakeMerry and #TFT hastags. 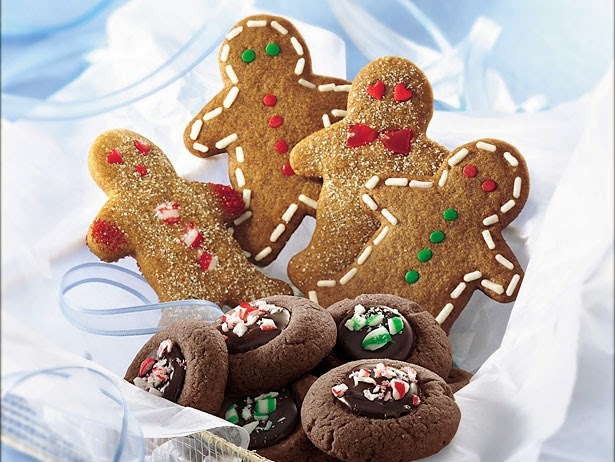 Need some ideas for your cookie exchange? Check out some fantastic recipe ideas HERE. The Marine Toys for Tots Foundation is a not for profit organization authorized by the U.S. Marine Corps to provide fundraising and other necessary support for the annual Marine Corps Reserve Toys for Tots Program. Toys for Tots provides joy and a message of hope to less fortunate children through the gift of a new toy or book during the Christmas holiday season. Our gifts offer these children hope, recognition, and a positive memory they will cherish for a lifetime. Many of the books, games, and sports equipment that we provide as gifts make a significant contribution to the educational, social and physical development of these children. In 2012, Marines distributed toys to more than 7 million children who might not have otherwise experienced the magic of the Christmas holiday season. Since her creation in 1921, Betty Crocker has enjoyed a distinguished history as a multimedia superstar. Featured in radio, TV, print, and now online, this cultural icon has rightfully earned her reputation as the “Original First Lady of Food.” Minneapolis is the home of the Betty Crocker Kitchens, where a team of culinary experts develop food ideas that combine trends with consumer needs. BettyCrocker.com is one of the top websites in the food category. Betty Crocker’s Facebook community has over 1.75 million fans that enjoy interacting with the brand, and millions have downloaded Betty Crocker’s mobile app. Betty Crocker branded products garner more than $1 billion in sales annually. For more information, visit www.BettyCrocker.com. Thanks to Betty Crocker, I have one cookie kit available to share with a reader. Since the holidays are close, this will be a short giveaway. Please visit THIS LINK and comment on which featured recipe or related recipe (sidebar) you would like to make. This giveaway will be open until post by 11:59pm, Monday 12/16/2013. Simply comment and then fill out the Rafflecopter form below. Disclosure: I received a cookie exchange pack and information from Betty Crocker. One cookie exchange pack will also be supplied directly to one winner. I was not required to write a positive review and I did not receive any monetary compensation for this post. Congrats to Candie L.! Her name was randomly selected for both the Blu Ray AND the Carmex giveaways that recently closed. We received quite a few applicants for both giveaways so Candie definitely beat the odds of being chosen as a winner for both! In the past, I have had other visitors win more than once, (especially regular readers) but not at the same time. Candie is one very lucky lady indeed. You may have heard of Anne Taintor or you may already be a fan. If not, you are in for a treat. Anne is an artist who specializes in taking vintage images, embellishing and adding a relevant sentiment, usually on the humorous side..
Anne graduated from Harvard in 1977 with a degree in Visual and Environmental Studies. After college, she focused on collage, and her work always incorporated a subtle humor and playfulness. For years, Anne’s art was more of a sideline than a full-time occupation. But in 1985, she was a single mother searching for a way to spend more time at home with her daughter than her job in cartography permitted, and she began to develop a line of collaged pins and magnets. The new collages combined vintage images with Anne’s own interpretation of what these men and women might really be thinking. They were instantly a hit with Anne’s customers, though it took a little longer for her to be brave enough to “quit her day job”. In 1999, with her daughter away at college, Anne and her husband moved to a tiny town (population 80!) in Northcentral New Mexico. She spent 12 blissful years in NM balancing growing her business with healthy doses of hiking, swimming & camping. Anne was elated to return to her home state of Maine in 2011 in order to spend more time with granddaughters and other family and to re-kindle her love of gardening and shoveling snow. She now lives and works in an eclectic antique house in Portland and continues to cherish making all you smart women and men smile. Anne's artwork is very unique, humorous and fun. Take a look at these vintage ladies, gentlemen and children tagged with quirky comments - usually sentimental or funny. I selected the large melamine tray and the matching mini-trays for review in the "Born To Be Wild" option. 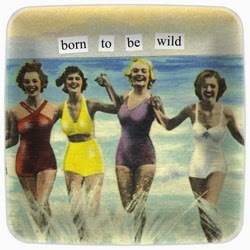 This picture features several women in vintage 40's - 50's era swimsuits laughing and running hand in hand through the water - just another fun day with the girls! Very cute and a great conversation starter. The melamine was very sturdy and just the right amount of glossiness. The colors were vivid but the image was softened for a great vintage feel. I used these recently when I entertained. My kids especially went nuts over these. I got 101 questions about the dishes - where did they come from, did I know who the ladies were, where were they, etc. This would be great for your own entertaining, as a hostess gift, white elephant party gift, or as a present to someone that loves something different and/or likes to entertain. Anne Taintor also sells numerous other images and products including magnets, note pads, bags, barware, clothing, cards and more. Make sure to pop by her website and check out her great selection of quirky items. While you are there make sure to enter the monthly caption contest! Disclosure - I received products for review purposes. I did not receive monetary compensation and was not obligated to write a positive review. All opinions expressed by my own. Are you a movie fan? If so you have probably upgraded to Blu-ray format. We love our two Blu-ray players because both play both DVDs and Blu-ray discs. One is in our family room where we all watch movies and the other is in the loft where the kids gather with friends. We can watch our older DVDs but we can also buy and watch new Blu-rays. My husband prefers the picture quality on Blu-ray so when we invest in a movie now, it is usually in Blu-ray format. Why? Blu-ray lets you to watch your favorite movies with unmatched sound and video that is SIX TIMES the quality of DVDs! Blu-ray movies make a great gift for any of the people on your shopping lists. Kids movies, hit movies, blockbuster movies, indie films, favorite TV shows, documentaries, etc - all can be found on Blu-ray! As you finish your holiday shopping, consider picking up a few Blu-rays as last minute gifts or to add to your own growing collection. While you are here, make sure to register to win! NOTE - Each household (US only) is only eligible to win ONE #MovieMagic Title via blog reviews and giveaways. Only one entrant per mailing address per giveaway. If you have won the same prize on another blog, you will not be eligible to win it again. Winner is subject to eligibility verification. I have a really great giveaway opportunity for my readers! As part of the Carmex Blog Squad, I often get the opportunity to review new products or even tried and true favorites. 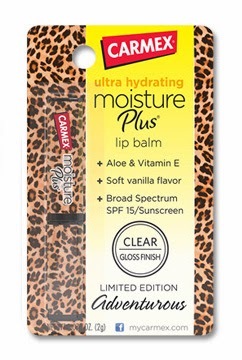 Recently I was able to review Moisture Plus in limited, special edition packaging. Limited Edition Carmex Moisture Plus® Whimsical The Whimsical stick is inspired by Skye, the free-spirited, nature-lover. Skye is the girl whose ideal weekend is spent camping in the woods, soaking up the beauty of the wilderness. She prefers clothes that allow her to express her creativity, without restraining her from going on a spur-of-the-moment hike. Jeans and a tunic or organic cotton maxi dresses are her everyday favorites. On a Saturday night you’ll likely find her at an outdoor concert or music festival surrounded by like-minded people. Words to live by: "Reduce, reuse, recycle." I love the hounds tooth print so this is my favorite of the four. This is a classic. The Chic stick is inspired by Audrey. She’s a modern girl, with classic taste. She detests anything garish or overly-embellished, preferring instead the sophisticated style of black and white patterns with an elegant, high-end aesthetic. On a Saturday night, you can most likely find her at an upscale art gallery opening or attending a theater performance. Words to live by: "Less is more." This is a cute, modern purple print. Very fun and girly! Limited Edition Carmex Moisture Plus® Fab The Fab stick is inspired by Edie, the girl who embodies the spirit of London in the 1960s. She believes the miniskirt is the best invention of the 20th century, and she’d never dream of leaving home without her eyelashes curled to perfection. She loves anything new and of-the-moment, from avant-garde art to the latest buzzworthy band. On a Saturday night, you’ll find her at the newest, most talked about club in town, always surrounded by a circle of über-hip friends. Words to live by: "It’s all groovy." The Adventurous stick gets its up-for-anything attitude from Peggy. She’s the girl who has never turned down a concert ticket most of her stories begin with the phrase "I was at this great show, when…" When it comes to fashion, Peggy believes the wilder the outfit, the better. From leopard print pants to leather jackets, there’s no fashion statement she’s afraid to try. On a Saturday night, you’ll find her in the front row at the most rocking concert in town. Words to live by: "You only live once." My review: I have reviewed the Moisture Plus before and love it. 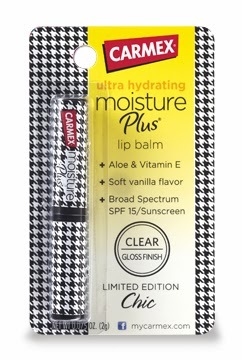 The lip balm is medicated with heavy moisturizing qualities but the application is quick, light, and slick. Which one speaks to you? Can't choose? Pick up a few. 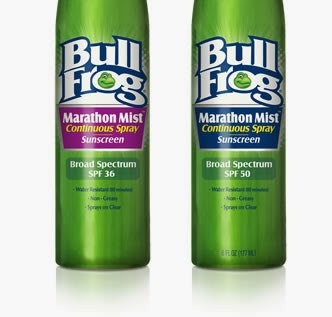 Currently available at Walmart, Walgreens, CVS, Dollar General and other stores across the U.S. This was a nice little story appropriate for pre-teens. I did feel that the story started out slow but the pace improved as the story developed. Stylistically the author's writing also seemed to grow stronger as the story progressed. The Accidental Time Traveller is a story about a boy named Saul who stumbles across a girl named Agatha. Agatha has somewhat accidentally traveled through time and is dismayed to discover that she is stuck in 21st century Scotland - very unfamiliar territory for a girl from Scotland in the 1800's. It does not take Saul long to believe her account of jumping over 200 years into the future and he resolves to help her return to her own time while helping keep her and her secret safe with a great deal of creativity and with the help of a few trusted friends. There are several things in Saul's life that young readers will relate to - loving but un-attentive parents (due to the recent births of twin siblings), tight budgets, an annoying teacher, a relentless bully, a motley crew of school friends, lofty wish lists and the desire for recognition. Saul finds that by relying on those in his life, but especially himself, even the impossible can be possible. - Sometimes you have to make personal sacrifices in order to do the right thing or help the greater good. A cute story that is appropriate for middle schoolers. As you begin your holiday shopping, you may be turned off by a lot of the commercialism. Through the years I have cut back - focusing less on buying and more on the experience. That said, we still do exchange gifts on Christmas and it is also my middle daughter's birthday. I love the idea of buying a gift that also helps contribute to a charitable cause. WorldVision.org rel="nofollow"has a charitable gift catalog or simply the means to allow you to donate directly to the cause. Who is WorldVision? WorldVision is a Christian humanitarian organization dedicated to working with children, families, and their communities worldwide to reach their full potential by tackling the root causes of poverty and injustice. Working in nearly 100 countries around the world, they serve all people, regardless of religion, race, ethnicity, or gender. - donate to a specific cause, including Animals (livestock), Clean Water, Housing and Shelter, Education, Hunger, Medical Care, Orphans and Widows. - Purchase a handcrafted item that goes towards a specific cause. I received the lovely Colors of Africa Bracelet and Earring Set. Help where it's needed most ... AND get a gift for yourself or someone you care about! With your gift of $100 or more to where most needed — which provides for the unique needs of children and families worldwide — you will receive this gorgeous Zakale bracelet and earring set from Nairobi. Zakale crafts are made from recycled materials by Kenyan artisans, who received a loan from World Vision to grow their business and lift themselves out of poverty. Approximate sizes: bracelet 8" long, earrings 2" long. Each is unique - size and color may vary slightly. When requesting the jewelry set, please note your gift is tax-deductible less the fair market value of $20. The quality on this set is impressive. Even more impressive is that you are helping a great cause while giving a gift to a friend or loved one! I encourage you to take a look at the website to see how you can help! For more info, please refer to the video below. Disclosure - I received the set for review purposes. I did not receive any compensation for this post. 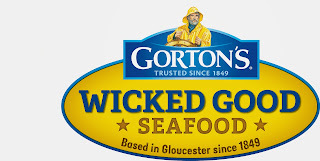 I was given the opportunity to work with Gorton's Seafood. Gorton's is a household name and one I have been familair with for years. When the girls were little, fish sticks were one of the few foods that they would regularly eat with no fuss so we served them often. Now that they are older, they are open to more foods but they still love fish sticks! When I received coupons from Gorton's, I went and selected the items I thought the girls would enjoy best. We ended up with the Fish Sticks and the Crunchy Battered Fish Fillets. These are so great year round, but for us, especially during the traditional school year when we have after-school activities. Time for dinner preparation is minimal - what is great about using Gorton's is that it is easy to prepare. Simply warm up the oven, place on a baking sheet and cook. My kids, husband and I love this. We do not have a fryer so bake everything at home. This is a great way to have a "fish fry" at home. This product also offered in 7.6, 11.4, and 64 ounces. Please see specific packages for slight nutritional differences. 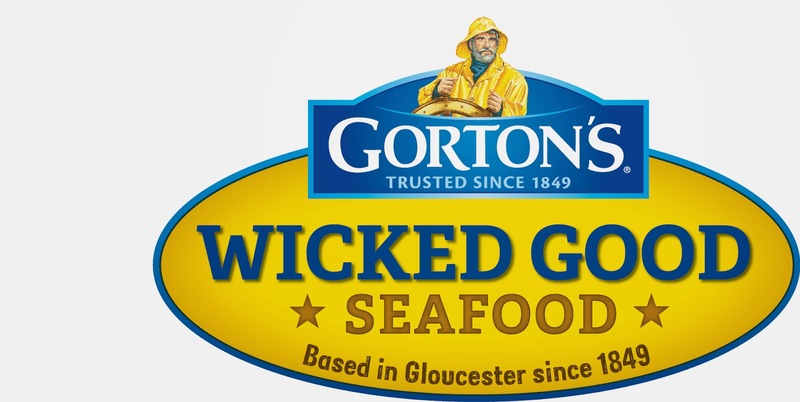 Three $2 off product coupons, 1 Gorton’s-branded ship wheel keychain, an assortment of Gorton’s recipe cards and beautiful seaside/Gorton’s postcards. To enter simply comment per the instructions on the rafflecopter form and fill out the form for each entry requirement that you meet. One randomly selected entrant will win. Ends next Sunday - Good luck to all!!! Disclosure: I received a prize pack for review purposes. All information and products were provided by Gorton's. I did not receive monetary compensation. All opinions expressed are my own.